Our signature Post and Beam Gable porch can be built to match the existing dormer (gable) on your home. 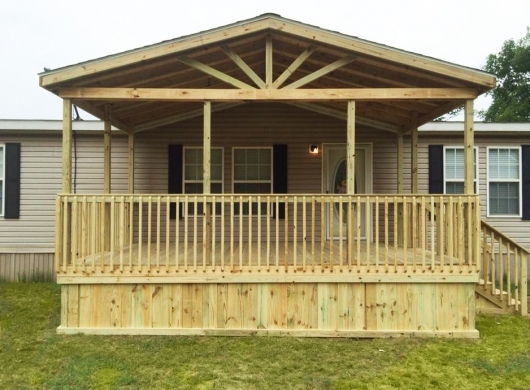 It can also be built to meet your specifications for your front porch addition. One by six tongue and groove roof decking upgrade available. Wagon wheel gable end design available. Vinyl upgrade available (call for pricing). Not sure how a gable porch will look on your home? Check out the gallery linked below, and get in touch with the Ready Decks porch builder nearest you with any questions.